SVG is a vector graphic format, which means it scales to different sizes smoothly without jagged lines. An SVG file is plain text, not a binary file format. You can read and edit an SVG graphic (assuming you understand SVG) using a plain text editor or XML editor. SVG is an open standard, so there are several commercial and free SVG graphics tools available to choose from. 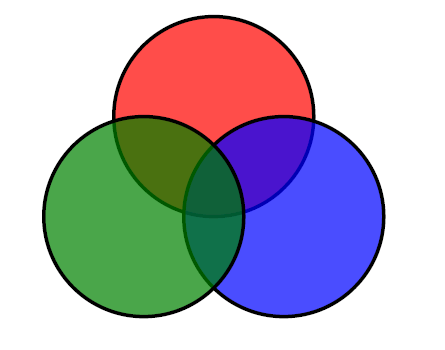 See the W3C list of SVG implementations. Be sure to include the format="SVG" attribute to ensure the file is handled properly. Support of SVG in XSL-FO processors is not complete. The XEP FO processor from RenderX and the XSL Formatter processor from Antenna House have substantial support for SVG in their current products. But some SVG elements may not be supported, so check the processor documentation for details. Apache FOP uses the Batik SVG Toolkit to render SVG graphics. Be sure to include the batik.jar file in your CLASSPATH when trying to render SVG with FOP (it is included in the FOP convenience scripts). An XSL-FO processor that interprets the SVG file will try to load the DTD, not for validation, but for potential default attribute values or entity declarations. If the processing machine is connected to the Internet, then the DTD will be downloaded from the URL specified in the system identifier. Such downloads can slow the processing considerably. If there are connection problems, or no connection at all, then some XSL-FO processors will fail on an image if it cannot read the DTD. A Java-based XSL-FO processor such as XEP can be configured to use an XML catalog to map the SVG DTD URL to a local file. Download the SVG DTDs for the versions you need and install them in a convenient location. Version 1.0 and version 1.1 are available from the W3C website. Set up a catalog file and add one or more entries for the SVG DTD references (you may need more than one version of the SVG DTD) to map the SVG identifiers to the local files. See the section “How to write an XML catalog file” for examples of catalog entries. Download the Java resolver.jar file and set up a CatalogManager.properties file as described in the section “Using catalogs with Saxon”. When you upgrade your version of XEP, do not forget to edit the new batch file or shell script. SVG is a relatively new graphics format, and many web browsers do not yet support it directly. Plug-in SVG viewers such as Adobe SVG Viewer are available for some browsers, but you cannot rely on them being installed by all your potential readers. In this example, the SVG graphic is selected only for XSL-FO output, and a PNG bitmap replica is substituted for HTML output. Where do you get a PNG replica? You can use an SVG viewer on your own system and take a screenshot of the rendered image. Or you can use the free SVG Rasterizer tool that is included in the Apache Batik SVG Toolkit. Some commercial graphics tools such as Adobe Illustrator can also render an SVG graphic as a bitmap. Before SVG, the common file format for vector graphics was Encapsulated PostScript (EPS). While EPS was widely supported, it required a PostScript interpreter to be available to interpret the PostScript code to render the image. If you use an EPS filename in a mediaobject in DocBook, the filename will be passed through to the output, but the results will probably not be satisfactory. If the output is PDF, then neither XSL-FO processors nor PDF browsers have a PostScript interpreter. If the EPS file contains a bitmap preview image, then that can be displayed in a PDF browser, but at lower resolution. If you send the PDF to a PostScript printer, then you can get good results. But if a printer does not handle PostScript, then you will only get the lower resolution preview image. SVG, on the other hand, is an open standard and works well with XSL-FO processors and PDF output. pstoedit (free), which uses ghostscript to interpret the PostScript code. You can download pstoedit from http://www.pstoedit.net/.